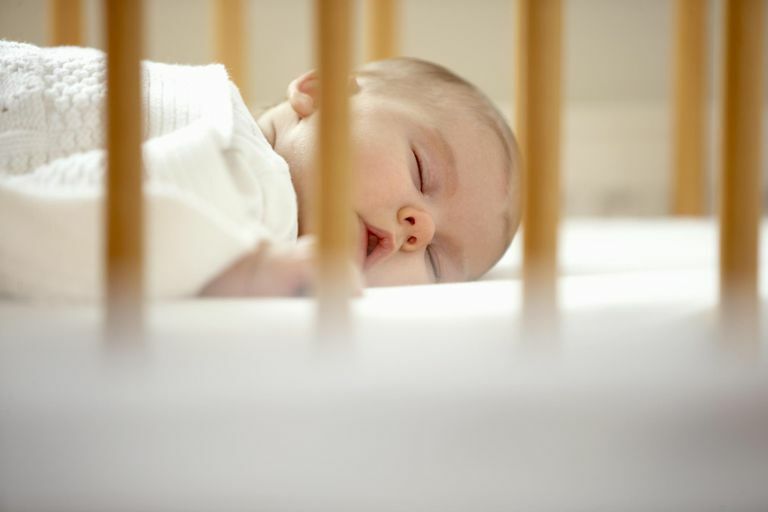 New parents are typically in the know about not putting bedding in their infant's crib or providing ample tummy time while a child is awake because infants need to be put to sleep on their backs. However, recent tragedies have showcased the need to remind parents and even family child care providers about not placing kids in beds that are close to a wall. And, the child suffocation danger isn't necessarily connected to the argument favoring or discouraging family beds. Toddlers and even preschoolers who sleep in a bed that is close to a wall may sometimes roll off the bed and become pinned in the tight space between the bed and wall. Bed coverings can contribute to the unsafe situation by blocking a child's breathing passage, resulting in suffocation. Some youngsters are such sound sleepers that they may not even awaken when rolling off the bed, especially if they roll into a softly-padded area, making suffocation a sometimes silent death. Well-meaning parents may attempt to close up the space by stuffing pillows or bedding in the space between the bed and wall. However, if a young child rolls into that area, the attempted protection may actually only increase the potential for a tragic ending. To avoid the risks of child suffocation dangers relating to a bed, parents should be vigilant in protecting a child's bed space. Kids who have graduated to a toddler-sized or kid-sized bed should have their bed positioned in a center of the room, if possible, or at least a few feet away from a wall. Side bed guards can help to minimize the risk of rolling off the bed, but they aren't an absolute safeguard. Parents should also be careful not to create a barrier that keeps a child getting out of bed safely or sheets and bedding that are tucked in so tightly or are so heavy as to create additional child suffocation risks. While your goal is to keep your child in bed all night, you want to make sure that in the event of an emergency or distress, that there is no safety barrier that could unintentionally cause harm.